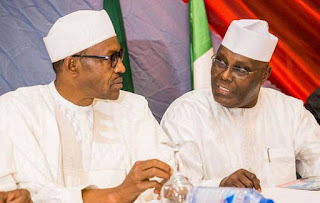 The people Democratic Party, PDP, presidential candidate, Atiku Abubakar on Friday said President Muhamadu Buhari should have been executed if Nigeria's system was woking. Atiku said Buhari should have been killed for overthrowing a democratically elected government in 1983. The Waziri of Adamawa, spoke through his media Aide, Paul Ibe, was reacting to a remark from Buhar's campaign spokesperson, Festus Keyamo. Keyamo had claimed that the former vice president should have been in jailed for corruption if the country's system was working.In a statement he issued, Keyamo claimed that Atiku was on the verge of committing suicide. Festus Keyamo should be careful what he brings on himself and APC campaign.